Rebecca Sharp from Almost Ginger shares her guide to Mdina, a tiny fortified city in the northern region of Malta. As you can see, it looks more like a film set than a real city which is why it was used as a Game of Thrones film set! Rebecca shares the must-see attractions in Mdina and some hidden gems she found during her trip. If you have a weekend in Malta planned, it’s likely you’ll want to spend at least one day exploring Valletta and one day in Mdina. 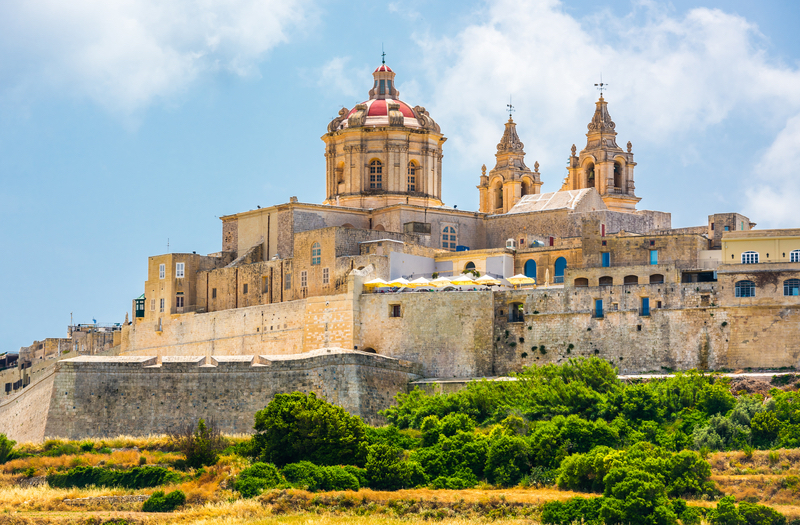 Mdina is the former capital city of Malta, before Valletta existed, in Medieval times. I’m not exaggerating, it actually looks like Mdina has been stuck in a time warp ever since. It’s a tiny place that is completely closed in with high city walls, which is how it earned its nickname of ‘the silent city.’ It’s hard to imagine this is an actual place where people live and not a film set. If you’re based in the towns surrounding Valletta, as most visitors are, then the best way to travel to Mdina is by bus. Don’t panic, traveling by bus in Malta is extremely straightforward! All single journeys across Malta cost €2 paid to the driver. Head from wherever you are to the Valletta or Blata L-Bajda bus interchanges. They are super close together and both have several bus stops. Find the stop where buses 51, 52 and 53 depart from (should be really easy to identify from the bus stop signs) as these all go to Mdina. One bus departs every 10 minutes, and every stop is announced, easy peasy. Travel Hack tip: Let your bus driver know you are heading to Mdina. When I travelled to Mdina from Valletta, I followed the journey on Google Maps which said to depart several stops too early. Our driver was really helpful and stopped me and several other bemused tourists from departing in the middle of nowhere. 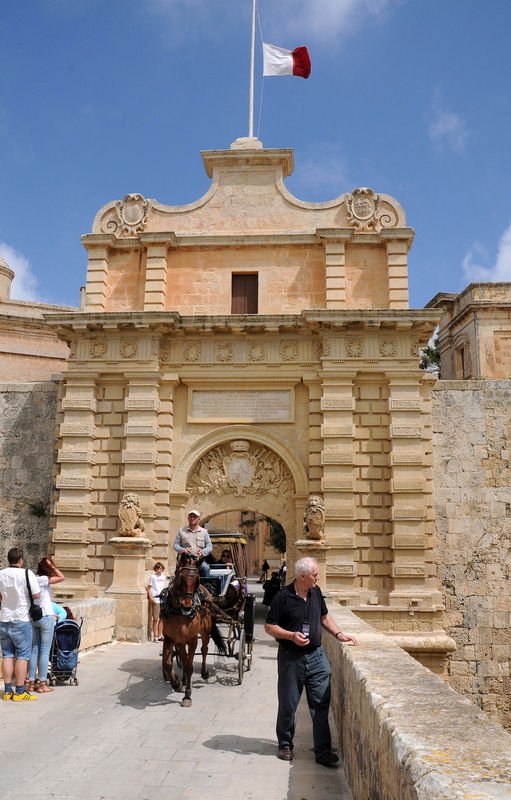 Just walking around Mdina is a sightseeing tour in itself. 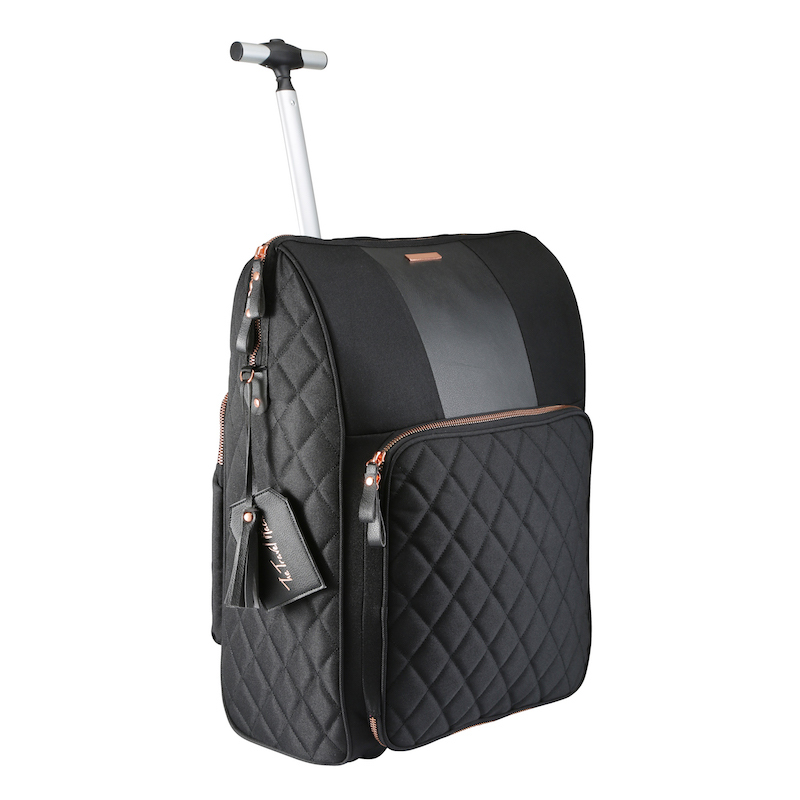 You’ll first stumble along the main city gate which extends over a huge moat around the city perimeter. Once inside, you should just start exploring because every street has a colourful door or a well-decorated façade! St Paul’s Cathedral is one of Malta’s most important religious sites. I visited Mdina on a Sunday and I felt very scruffy next to the effortlessly stylish churchgoers leaving the grand St Paul’s Cathedral after mass. This is still a working church so opening hours are 9:30 – 16:30 Monday to Friday, though there may be some odd opening hours on a weekend. There is a €5 entrance fee to the cathedral and museum. 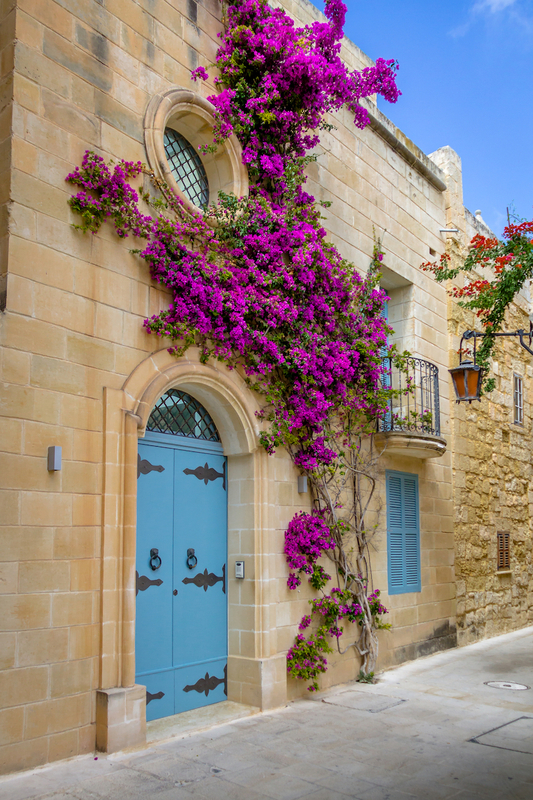 As you’re wandering around Mdina, if you’re thinking about your Instagram followers you might want to make the effort to find the ‘blue door’ with a vine of purple flowers. I know, I hadn’t heard of it either before planning my one day in Mdina. If you search #BlueDoor on Instagram, this is the door that will appear on the feed more often than any other. I don’t really know why because every door and street in Mdina is incredibly Instagrammable! It’s incredibly difficult to find out actually where the blue door is. People really don’t want to give away their secrets, do they? Well, I do know it’s on a side street near Fior di Latte, Mdina’s best gelateria (I can vouch), but I personally couldn’t find it on my visit! You might be able to ask a local in a shop, but otherwise, do what everyone else does and just keep an eye out. While sampling the flavours in Mdina’s best gelateria, I suggest you take a look at the views over Malta from the top of Mdina’s city walls. It’s one of the best views in the country and, since Malta is so small, you can see straight out to Valletta and beyond. And you don’t have to climb hundreds and hundreds of steps to see it! Those are the best kind of views. Game of Thrones film sets: Mdina or King’s Landing? You know how I said Mdina looked like a film set? Well, it actually was for season one of Game of Thrones. The city gate was used as the entrance of King’s Landing, and head to Pjazza Triq Mesquita for the location used as Lord Baelish’s brothel. There are plenty of other Game of Thrones locations all around the rest of Malta and Gozo, but those are the main ones inside Mdina’s city walls. In all honestly, Mdina is very small. 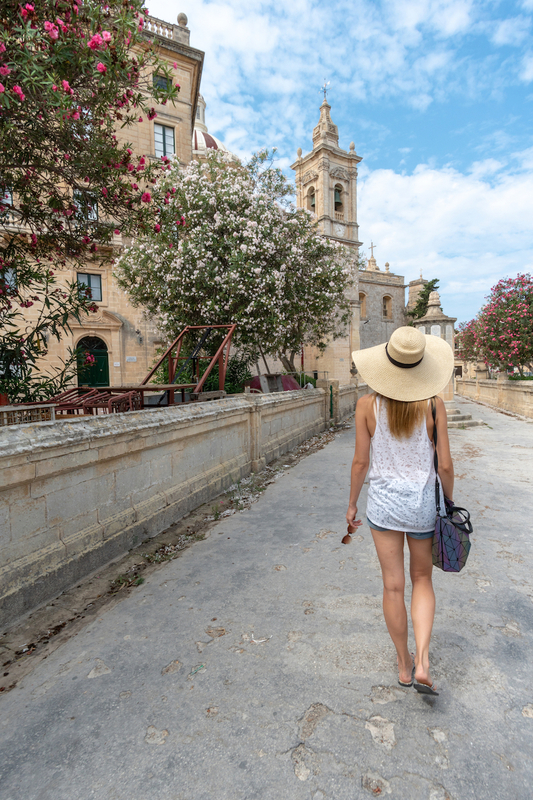 If you’re planning a full one day in Mdina, you might be surprised when you end up walking around the whole city by lunchtime. If you’re spending a whole one day in Mdina, you’ll need somewhere for lunch. I recommend checking out the Fontanella Tea Garden. They serve lunch and a variety of cakes and desserts, all with that breathtaking view over Malta from above the city walls. Other things to do in Mdina include The Mdina Experience, a one-hour long film made by the tourism board which details Mdina’s diverse history. Think of it like a museum exhibit in film form. 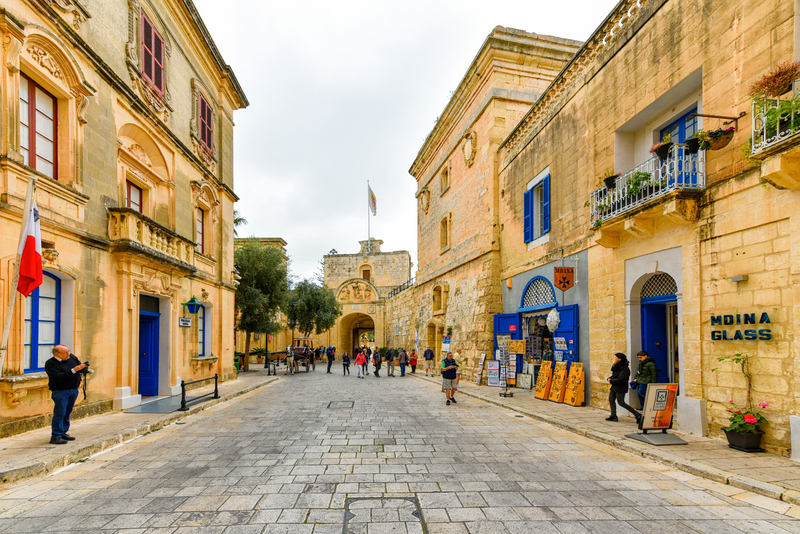 You can find The Mdina Experience in the same square as the Game of Thrones location, Pjazza Triq Mesquita. For a city with only 300 permanent residents, it’s got an awful lot of churches! 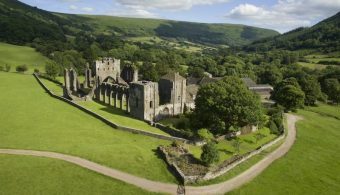 If that’s your thing, you’ve got St Nicholas’ Chapel, St Agatha’s Chapel, the Carmelite Priory and many more to visit. Rabat is where you will alight the bus before walking to Mdina, and many people won’t think to explore this small town. However, I really recommend you do as you’ll be seeing a local side to Malta that most other visitors will overlook. Rabat is just a normal, quiet town and even if you just spend an hour walking around, checking out the cafes or local churches and shops, you’ll feel as if you’ve got a glimpse of everyday Maltese life. You won’t find that in Valletta or Mdina. If you’d prefer more lunch options, walk only a couple of minutes into Rabat and check out either Ta’ Doni or the restaurant I tried, Toffee & Co. I loved their traditional flatbread sandwiches, it was like a cross between a salad and a pizza! It’s easy enough to walk back into Mdina if you’ve got more to see. I bet that view over Malta looks pretty amazing around sunset. 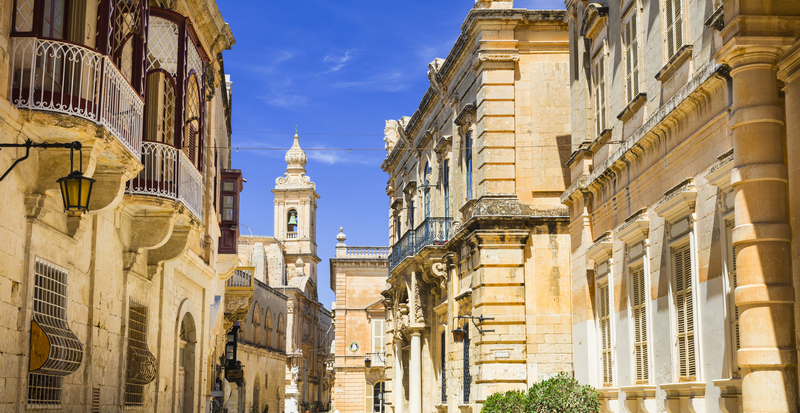 Have you spent one day in Mdina, exploring every side street? 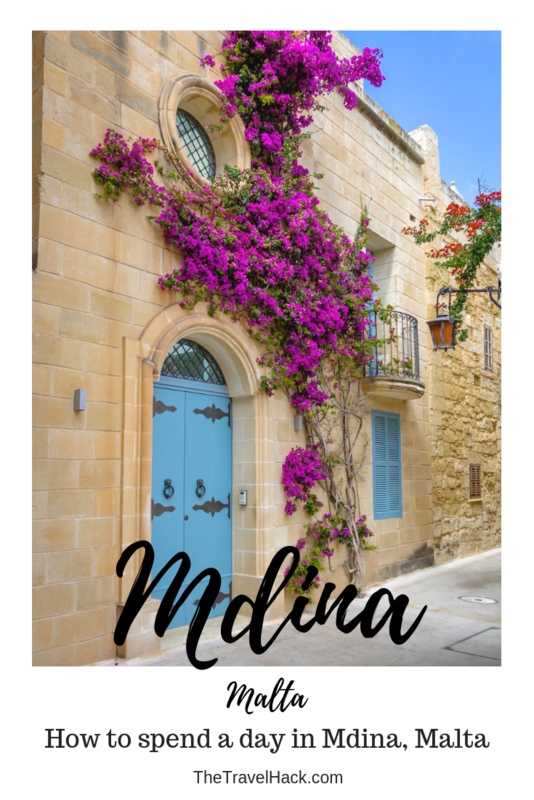 This guide to Mdina was written by Rebecca from Almost Ginger, a blog about Rebecca’s love for travel and films with helpful travel tips and information about film locations, festivals and screenings.